World FM day 17/05/17 – @Informal Blog for professionals Facility Management. 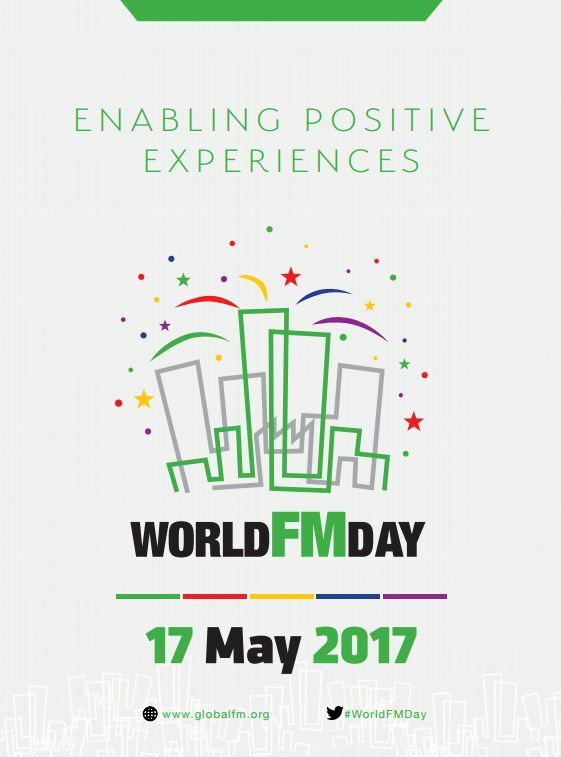 Once a year the global facilities management community comes together to celebrate FM on World FM Day . Duncan Waddell, Chairman of Global FM, said: “The 2017 theme emphasises facilities management’s significant role in setting and managing the scene for and delivering exceptional customer experiences worldwide across multiple sectors. The breadth of sectors impacted by FM is everywhere and there are examples in travel and tourism, residential, entertainment, leisure, health, education and commerce, as well as the wider workplace. World FM Day is instigated by Global FM to recognise the vital work that facilities management professionals and the facilities management industry contributes to business worldwide. It aims to raise the profile of the FM profession, not just in member regions, but anywhere FMs influence the health, safety, productivity and well-being of people who utilise the built environment. World FM Day provides an opportunity for global knowledge sharing, to discuss and share experiences both good and challenging, to promote our profession and celebrate our successes. It is a day where facilities management professionals use to reflect on their achievements over the past year.